The second installment of The African Film Festival concluded with a keen sense of optimism that's made for a hopeful future. Filmmakers gathered once again in Dallas, Texas on 4th of July weekend in 2017 to watch a marathon of independent films about Africa by independent filmmakers that are not necessarily all African. A total of 43 independent films in all, served up by filmmakers from 25 different countries to include The USA. Films addressed a range of issues; from Uganda came pertinent topics addressed by American filmmakers. One was about the Northern Ugandan genocide—the restructuring and rebuilding of lives after much have been lost, another addressed the journey to rebuilding a broken Ugandan justice system, while another highlighted a man's journey leaving his American dream to fulfill that of many orphans to the HIV/AIDS epidemic by building schools and homes restoring hope to the children that are otherwise victims. From Ghana came a dance movie that's probably the first in the African Independent filmmaking history, a refreshing change from the usual plot lines centered on infidelity and spiritism. From Ethiopia came an adaptation of one man's true life story as a refugee, he stars in the heart wrenching film where he escapes his homeland as an orphan in the midst of turmoil to make a better life for himself in the Western world. The journey to a better life is not without peril, which he must get through to see the light at the end of the tunnel. 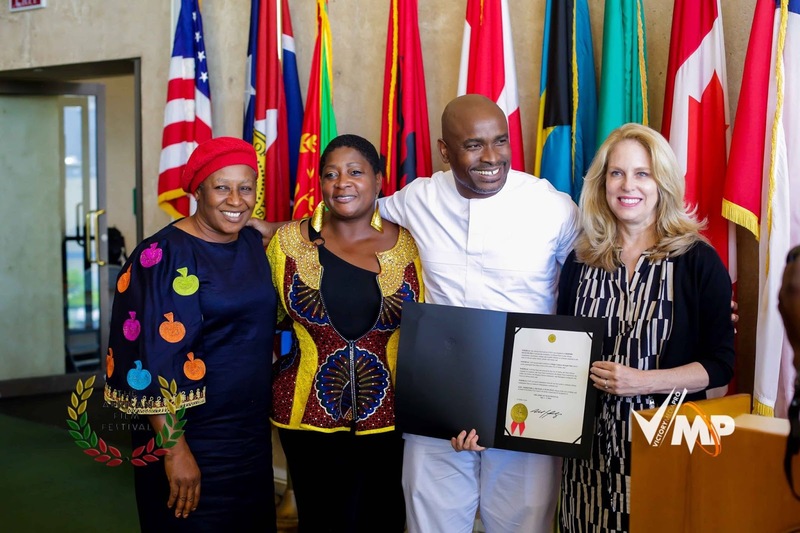 From Nigeria came the story that touches on a piece of its history, a critically acclaimed film that sheds light on the detrimental effects of corruption. 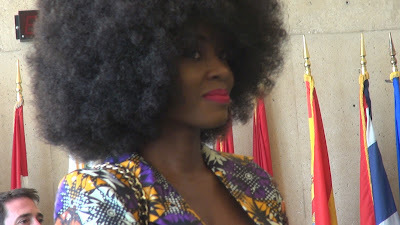 All of the above were just highlights of the many meaningful films screened, proving that these filmmakers have only scratched the surface when it comes to the dynamics in the fiber the shapes the African continent. 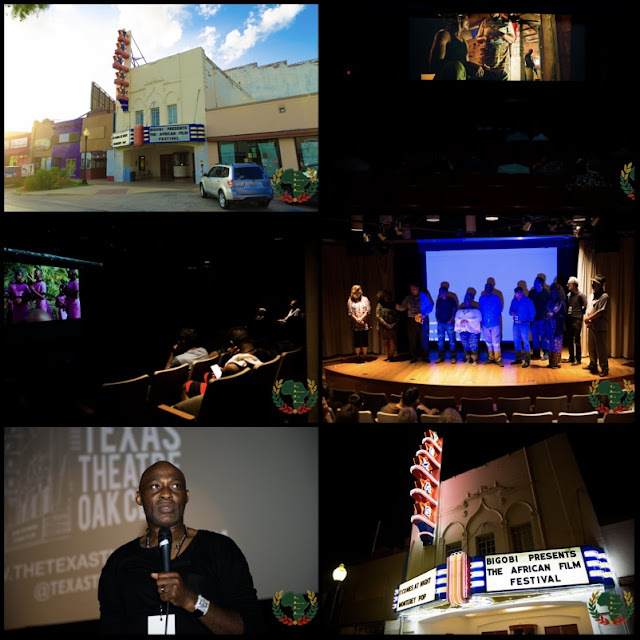 Film screenings took place at the Texas Theatre, African American Museum and Dallas City Performance Hall, each screening ending in a Q&A session with filmmakers. 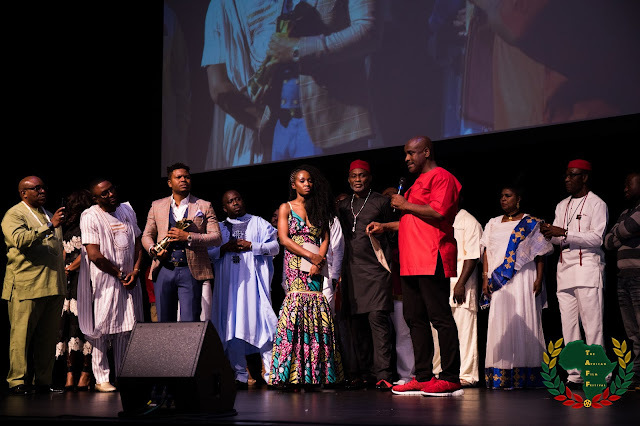 Film screenings where just a part of the full weekend, The festival began effectively with an Acting Masterclass taught by TAFF Film Legend Award winner and gala host Richard Mofe Damijo. The class was made up of filmmakers and enthusiasts who came to learn from the screen veteran with at least twenty years under his belt. He didn't disappoint as he delved effectively into his role as teacher and sometimes sinking into a character or two. The audience were more than delighted to have him in their midst as he reflected on his experiences, even indulging them in some scene practice sessions. The Symposium on African Cinema was also one of the festival's highlights. 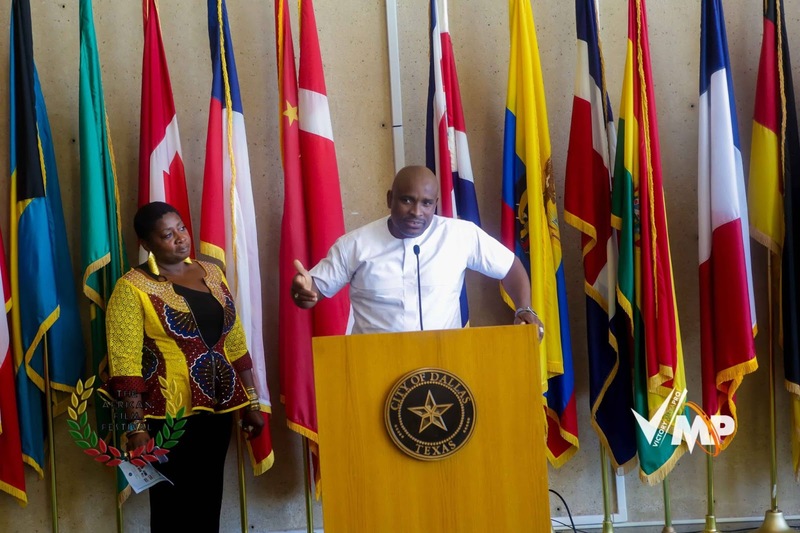 Held at the Dallas Public Library, filmmakers headed the panel to discuss the evolution of African cinema over the years, the challenges and the breakthroughs. African cinema continues to face challenges of adequate funding and the commercialism of the industry where filmmakers feel the need to make a marketable film over a meaningful film. As aforementioned, Africa is a continent full of untold stories and rich in history and just a handful of filmmakers are delving deep into them. Concerns raised by the non-African filmmakers on the panel were the lack of filmmakers willing to put their resources together to continue to raise the awareness of issues that stare them in the face everyday, pointed out by Debi Lang. 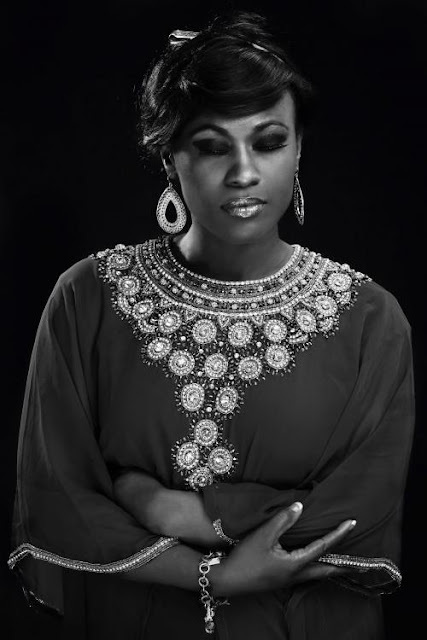 She gathered film students, most without any experience and traveled to Uganda to help make her documentary film. Just like her, other non-African filmmakers made their films, partly because no one else was making them. 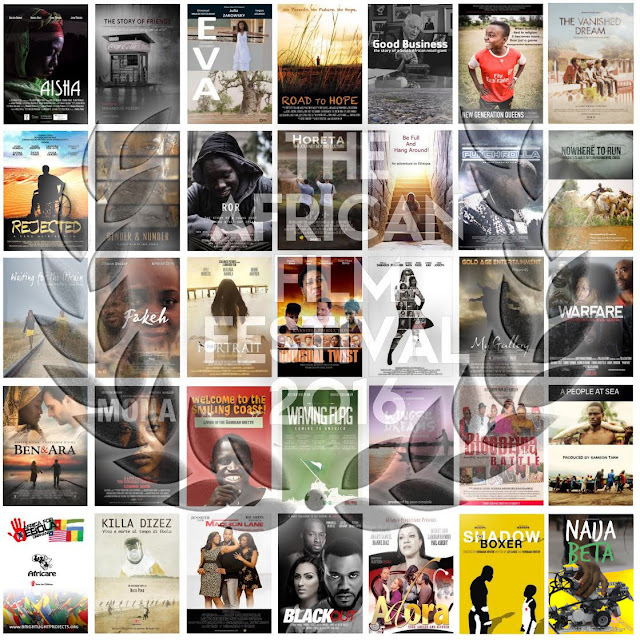 There are still limited screening outlets in Africa, with the exception of Nigeria and South Africa, most cinemas in most African countries can be summed up in one hand. This is a far cry from the rest of the developed world and due to this challenge, most filmmakers are limited by way of distribution. Most countries do not have regulatory agencies that protect filmmakers' intellectual properties, as a result piracy is rampant. A lot of filmmakers are hard-pressed to recoup their production costs considering the above factors. It truly becomes the survival of the fittest. There are many factors that can discourage even the most courageous. 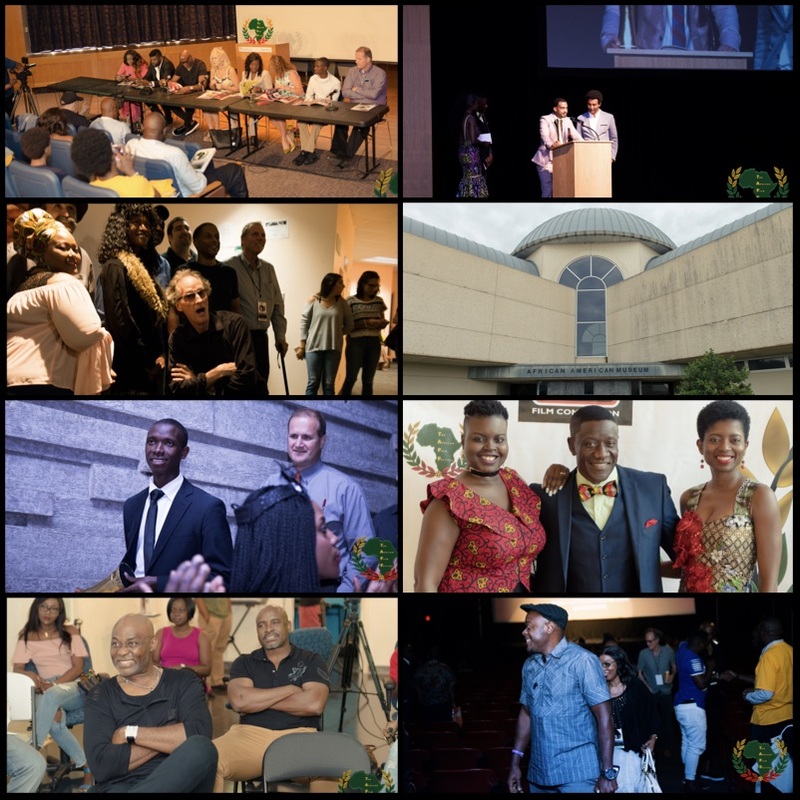 The festival brought many filmmakers together in one place to celebrate African independent films. Notable winners were the makers of Remand, its stars Tumusiime Henry and Jim Gash as well as producer Randy Brewer accepted the award for Best Documentary Feature. To them the award represented a triumph in more ways than one. Henry is a young man whose life was hanging on a balance of justice in Uganda, convicted of two murders, he was looking at a possible life sentence on remand in a juvenile home were he would spend years with others, many of them without any substantial criminal convictions. Jim Gash is a Lawyer from Pepperdine University from Los Angeles California who came for a different project in the country when they crossed paths and the rest of the story would lead them to Dallas City Performance Hall on July 3rd 2017. Read more about their heart wrenching story here. Another touching narrative centers around another young man named Zekarias Tibebu Mesfin, a young Ethiopian refugee that adapts his life story for the big screen. He produces and stars in Ewir Amora Kelabi, another story about the realities of many refugees in Africa that meet various hardships while fleeing war zones and civil unrests only to end up in other predicaments to include death. The film accurately portrays a young man's struggle for survival against the odds. Mr. Mesfin won the Best Emerging Filmmaker Award of TAFF 2017. 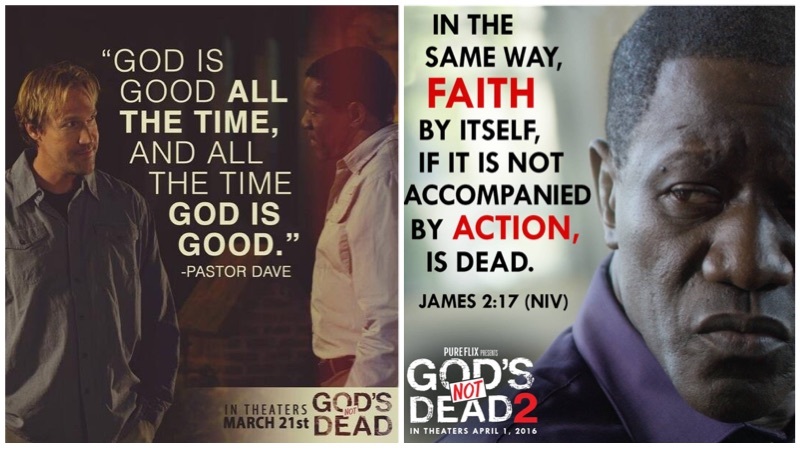 More on his film can be found here. Mr. Damijo was honored during the finale for his outstanding achievements and contributions to the African cinema. He became the second TAFF African Film Legend award recipient, after Ms. Patience "Mama G" Ozokwor who received the award in 2016. 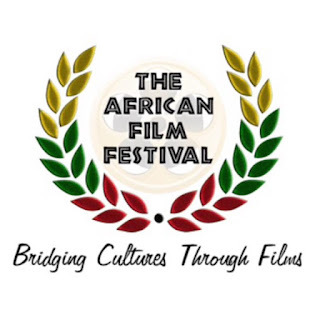 More on The African Film Festival can be found here. The brand new trophy was inspired by TAFF Executive Director's love for sports. The African Film Festival is at its second inception this year. 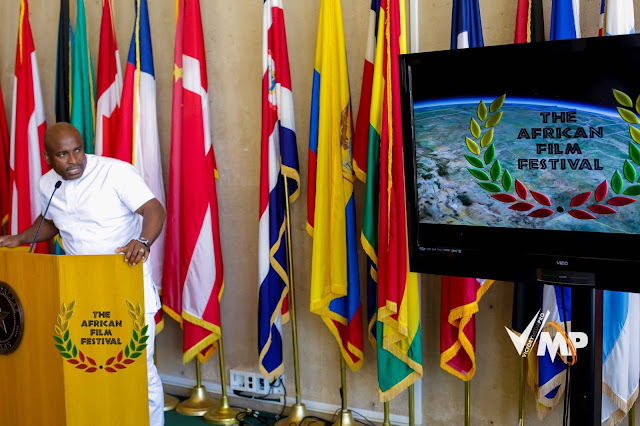 There will be at least 25 countries participating and 40 forty films according to the festival’s executive director, Mr. Kelechi Eke. 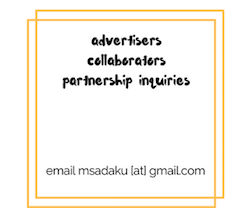 Planning a film festival in not without it’s unique challenges, even more so, planning a festival that uniquely caters to films made by African independent filmmakers or filmmakers of the African decent. Be it as it may, Mr. Eke is beating the odds. Response has been outstanding across the continent of Africa as well as the USA, Europe and Australia. 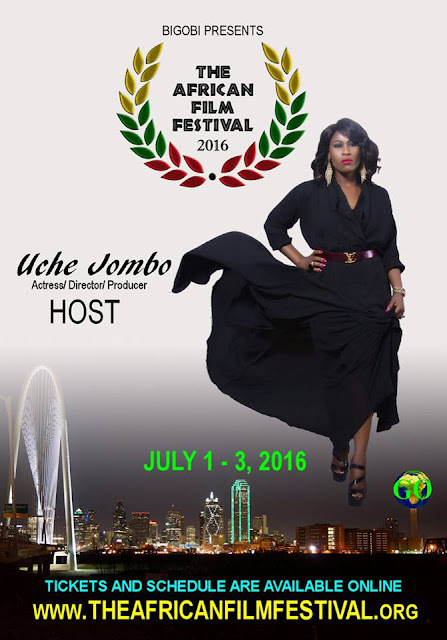 The film festival is now attracting the likes of Academy Award nominee Angela Bassett who Executive produced and narrated a film to be screened during the closing night on July 3, 2017 at Dallas City Performance Hall (DCPH). 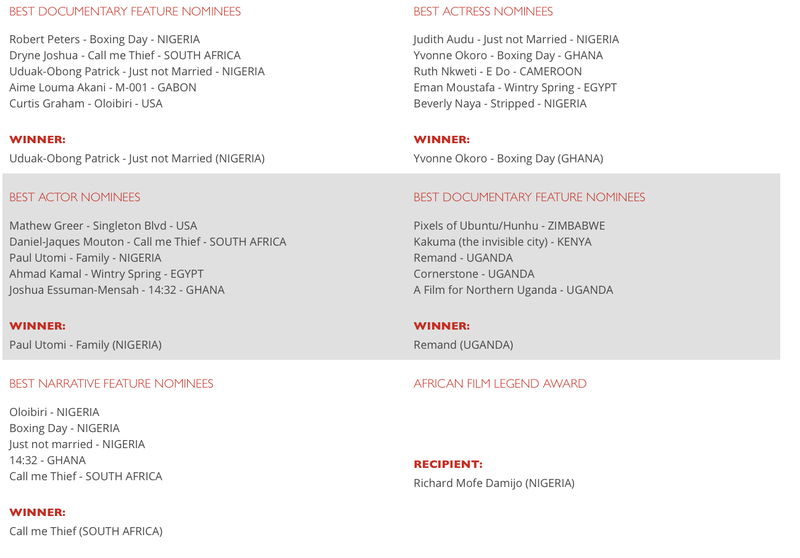 Oscar caliber films have also been selected to be screened during the festival. African Film Legend, Richard Mofe Damijo is slated to host this years festival awards gala. The highlight of this year’s festival is the brand new trophy that filmmakers will covet, inspired by Mr. Eke’s love for soccer. The golden masterpiece is born out of the need to inspire African independent filmmakers to continue pursue cinematic excellence. 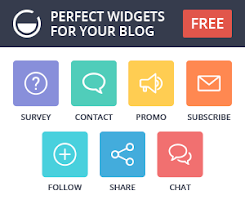 To demonstrate just how they are doing that, award categories include “Best Poster” and “Best Trailer” to encourage putting more thought to the overall finished work. TAFF has opened a world stage for quality African films and now, the world is watching. In a recent interview, Mr. Eke shed some light on the making of the new trophy and what’s in store for this year’s festival. Academy Award nominee and Golden Globe Winner Angela Bassett's film Remand will screen on the closing night on July 3, 2017 at DCPH, Dallas Texas. The African Film Festival is gaining momentum this year, how do you feel about that? Great. Feels good. The excitement, the anticipation by filmmakers and film lovers is quite encouraging. All the work that we put in last year is paying off going into the second year—the quality of films, the caliber of filmmakers that we’re able to attract this year, makes it even more exciting. This year, you have a brand new trophy, what’s the inspiration behind it? 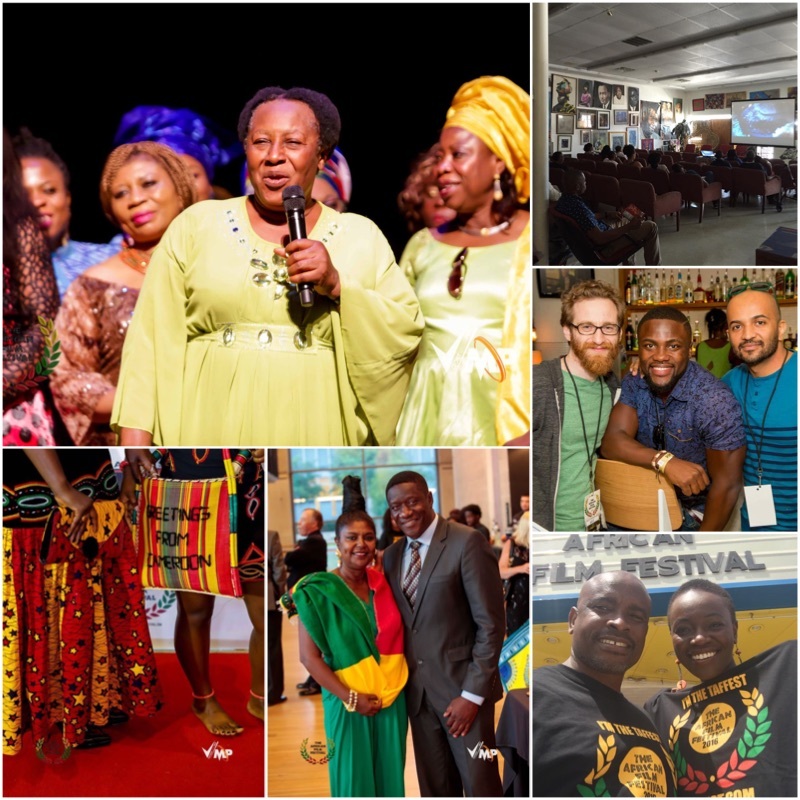 Well, the direction we’re going with TAFF is to make it one of the biggest, (pure) African film festivals in the United States and in that effort, what comes to mind as the biggest and the best, as a sports aficionado is the World Cup or the Super Bowl. I dubbed the trophy as the World Cup of African films. As a soccer player, what really inspired that trophy is looking at the World Cup itself, I spent quite some time, lots of nights thinking of how to bring out Africa and film at the same time in that trophy, you know—like the World Cup. I was able to do that with a film strip at the base of the cup, then springing out the map of Africa. It was quite a unique concept. Finally, when the vision came to me, I drew it out back and forth with the manufacturers to make sure they got my design exactly as I envisioned it. After 2 months of trial and error, they got it right and once they got it I said “Yes, this is it. This is what I designed, this is what I was looking for” and you know, something to encourage filmmakers to work hard and anticipate lifting one of those trophies. That’s really the inspiration. Did you experience any challenges in the making of this year’s trophy? One of the challenges is actually accepting the weight of the trophy, as the winners will find out. It’s weight is just like a dumbbell, you know, but Africans are strong and picking up a 5kg dumbbell wouldn’t be a big deal to them and of course when they’re holding on to it, they feel like they’re holding something. But, 5kg is roughly 10 pounds. It was kind of a challenge on whether to reduce the size or leave it as is. Its about 14 inches tall, so a little over a foot, you know, so it’s something that you wouldn’t put in your back pocket and move on. Once [filmmakers] fly into Dallas and take that trophy across the airport, everybody that sees them will stop and say “hey where did you get that trophy?” That was part of the motivation and will be, for the filmmakers to feel the same way and carry that good-sized trophy home. The challenge was the size decision and I don’t think I want to make it any smaller than it is. Amazing story! So, what has been the response to this new trophy? Very interesting. We can’t all wait to see who takes this trophy home this year. So tell me, what are the plans for this year’s festival, do you have any special guests or events? Yes, we have a special guest, Richard Mofe Damijo will be hosting the show and we have filmmakers such as Lancelot Imasuen coming, and quite a few filmmakers from across the globe: Ghana. Gambia, Senegal, South Africa, Nigeria etc. 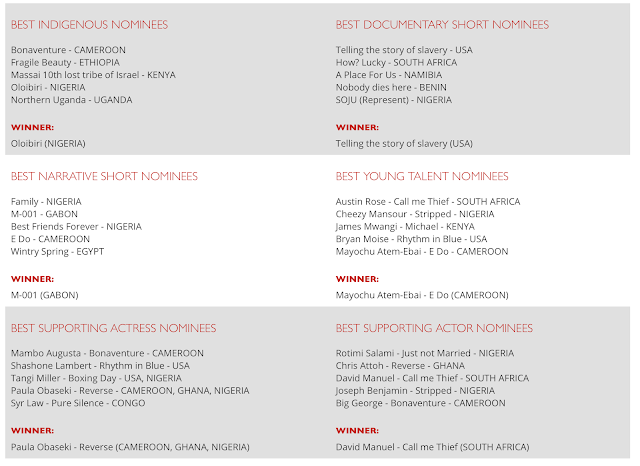 There are American filmmakers as well that are making African films that will be in the house. We have a couple of them here in Dallas, the makers of Cornerstone, for example with be here. The makers of Massai: 10th Tribe of Israel, a Kenyan story plan to be here. They are all Americans telling African stories, so we call them African filmmakers (laughs), so they’ll be here. There’s so much diversity, we have films from the Cape coast, South Africa to Cairo, Egypt. We have films from Senegal all the way to the horn of Africa—Tanzania. So, it cuts across the continent and that’s exactly our mission—to bring these films together and unite people and bridge cultures. It’s exciting, it’s hard to pinpoint any one of the filmmakers without mentioning the others because all of them are equally important to the organization. So we look forward to having a great time with those that finally get to make it. For the first time in film festivals history (I can boldly claim), instead of a workshop this year, we will actually do practical workshop to shoot a film. So, we’re looking forward to that from June 24th, before the festival opens to the general public on June 30th, we will be shooting a short film called “4” and “4” is only four minutes, and it dubs the question “what will you do if the world where to end in four minutes?” So, we’ll be carrying out an audition for that starting May 20th, that’s exactly 2 weeks from today and then on June 24th, we will shoot the short film leading to the festival. The short film covers our networking, seminars, workshop where seasoned filmmakers will be there early to actually guide budding filmmakers to accomplish this task and if we’re able to do that, that would be quite a feat. Now we’re taking it from just film screenings to practical filmmaking, so it’s a revolutionary effort in our second year, a great vision and we’re looking forward to pulling it off. This is all amazing! And, I have say that now I can’t wait for this festival, we’re all anticipating it at this point. So how can one purchase tickets to this year’s festival? The tickets are available at Ticket DFW. It is also available on our website. 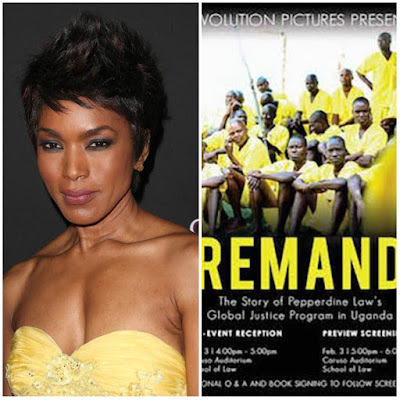 Another exciting thing coming up on the closing night is the showing of Remand, a short film executive produced and narrated by Academy Award nominee and Golden Globe winner Angela Bassett. We’re hoping she can join us on the closing night to kind of see people’s excitement or reaction on the film the she was part of. 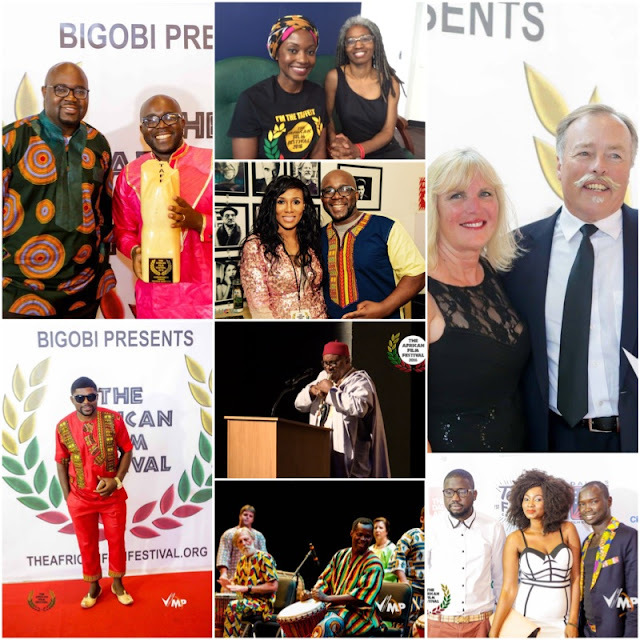 That’s how far we’ve gone, when we’re getting the attention of the likes of Angela Bassett whom we all respect in the film world, it says a lot about the direction of where The African Film Festival is going. We’re quite excited. And we are excited for you! We’re proud of what you’ve accomplished and we say keep it up! We look forward to what unfolds int he near future. 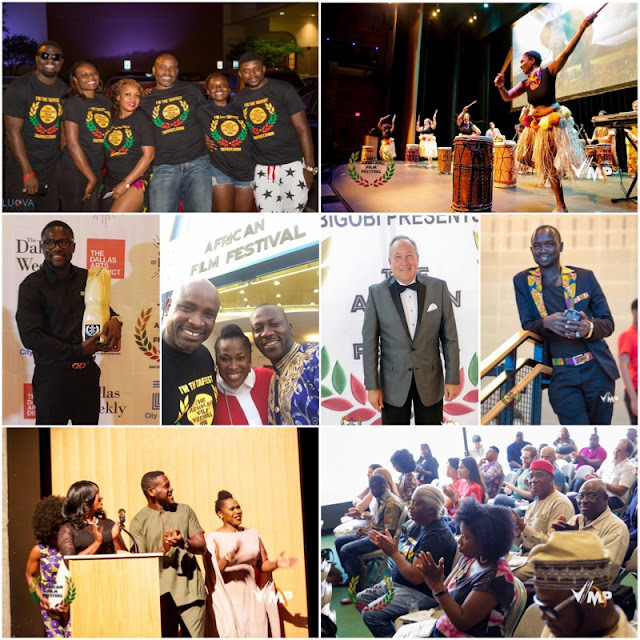 The African Film Festival is slated for June 30-July 3 2017. Don’t miss it. Get your tickets now. RMD is hosting TAFF 2017! Legendary actor Richard Mofe Damijo will host The African Film Festival in its second year. 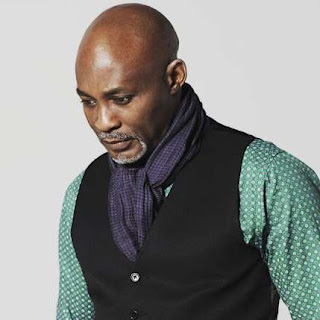 Richard Mofe Damijo is from Warri, Delta State. 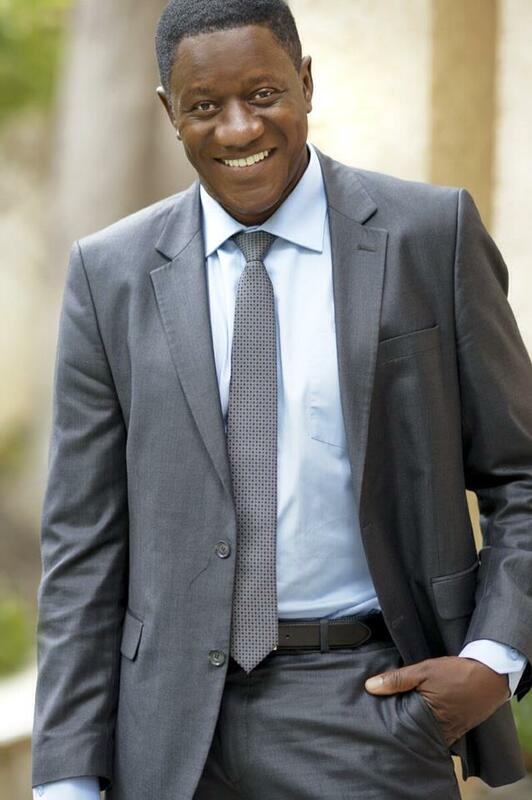 He always had a penchant for acting right from childhood belonging to his school's drama club and majoring in Theatre Arts in the University of Benin. He would star in many popular films, theatre and TV shows. He gained major popularity in the highly acclaimed soap opera Ripples. Out of Bounds, Scores to Settle, Private Sin, are just a few notable films under a long resume that spans over twenty years. Some of his latest work are The Wedding Party and 30 Days in Atlanta. He dabbled into politics becoming the Commissioner for Culture and Tourism in Delta State, Nigeria. Get your tickets now. Go here. Did you hear about The African Film Festival - TAFF? If not, read on. 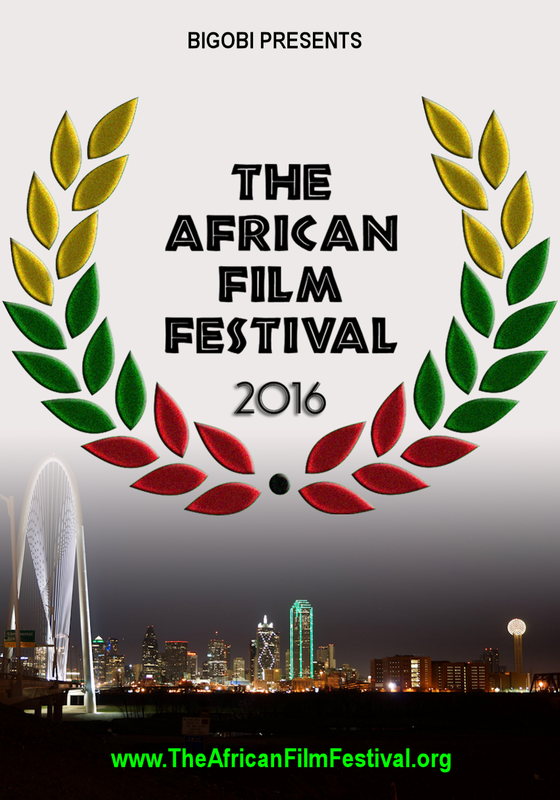 TAFF is "Bridging Cultures through Films," a non-profit organization, the first of it's kind to benefit the African independent filmmaker, set to premiere 4th of July weekend of 2016 in Dallas, Texas. A lot is ridding on the coattails of this event. There are planned seminars for filmmakers and enthusiasts, performances by your favorite artists and a gala honoring longstanding African filmmakers. With a vision to make available African films in schools and public libraries beyond Africa, TAFF would screen only the best African films for the world to see. 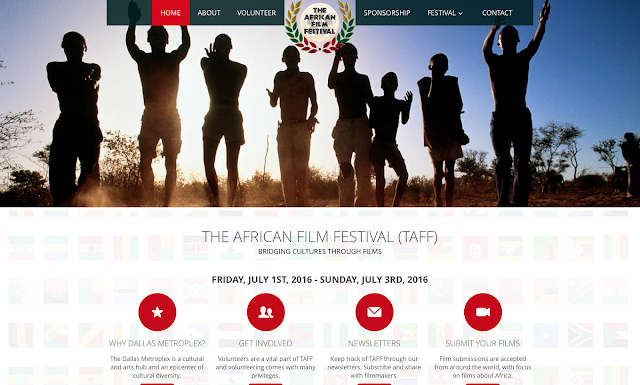 TAFF is now accepting submissions from African indie filmmakers worldwide. Do you have a non-released, newly finished film this past year? Then this message is for you. Submit your films now, we are now in the Regular submission timeline - December 1, 2015-March 31, 2016, prospective filmmakers should read the submission guidelines before submitting. Filmmakers will be honored with an award in fifteen categories, more on that here. Filmmakers should register here, acceptable media formats include Blu-ray and DVD. You can also submit via FilmFreeway. There have never been a better time for African indie filmmakers to showcase their work. Their work will gain a global exposure, as TAFF will welcome other film industries. This, in turn ensures submitted films would be seen by highly respected industry professionals around the globe (that includes Hollywood). It is important to note that African films have a unique genre, not to be assimilated with already existing film industries. 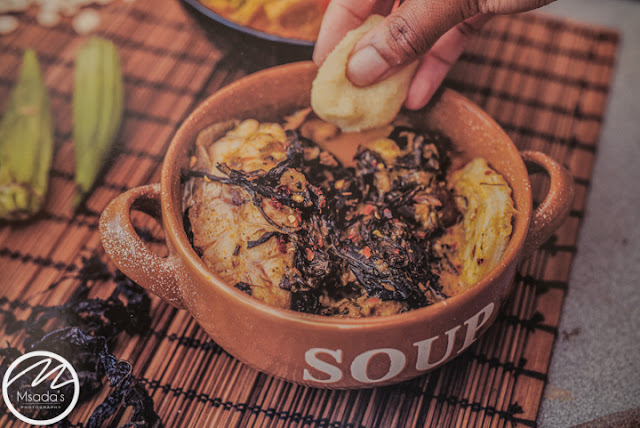 TAFF will celebrate African films and filmmakers and give the rest of the world an inside glimpse on the artistry involved in cultivating this unique genre. TAFF is seeking passionate and enthusiastic volunteers that share its vision. Ever wanted to volunteer at a film festival? Are you passionate about African films? Then here is your chance to become part of the movement. Together, we can truly "bridge cultures..."and make the festival a success! Keep it here, I'd keep you posted. I love to bring exciting news, there's too much bad news out there. 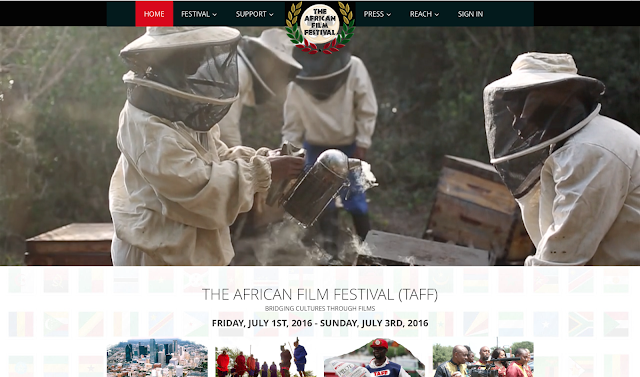 I'm excited to announce the revamp of our new website at The African Film Festival - TAFF, check it out now at www.theafricanfilmfestival.org. TAFF is a 501©3 non-profit organization, our goal is to give back to the independent African filmmaking community. We are creating greater exposure for African films, making them available in schools and public libraries in non-African communities. 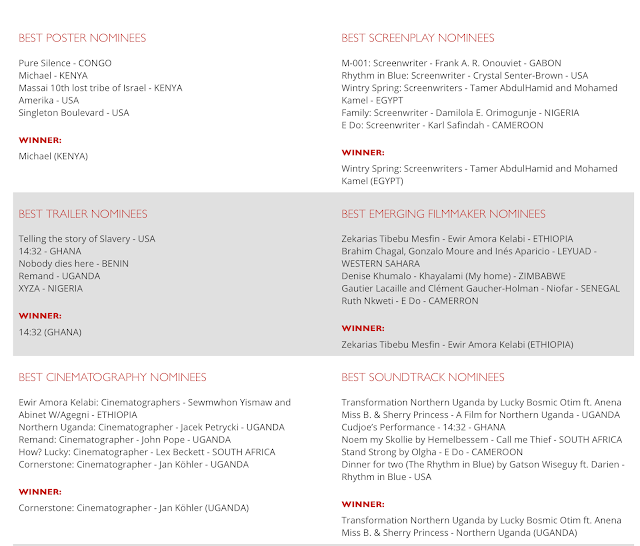 Never have there been a platform like this one, an international film festival focused solely on African films. TAFF have been accepted by the Texas Film Commission! Told ya, exciting! TAFF is now part of the arts district of Plano, Texas. Our grand finale will be at the Courtyard Theater in Plano, Texas. Film submissions start November 1st via FilmFreeway, find out how you can submit your films here. Watch out for deadlines for early, regular and late submissions. 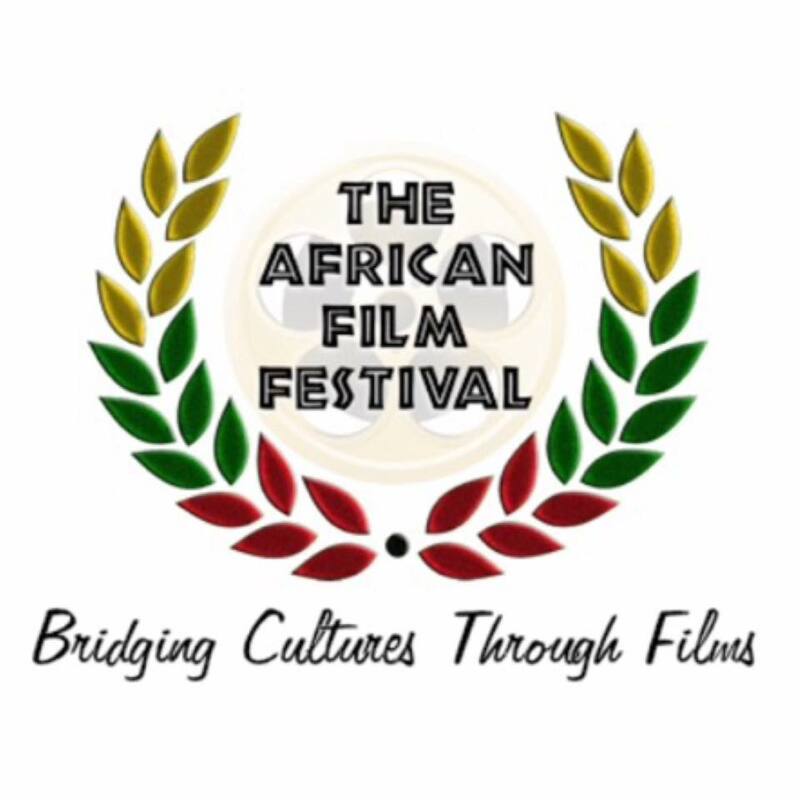 Finally, we are launching The African Film Festival on July 4th weekend. What better way celebrate African independent films! Where would you be during this groundbreaking event? That's all for now, stay tuned for updates. Something really big is brewing in the background, something groundbreaking, the first of its kind. The African Film Festival (TAFF) will launch in July of 2016, a platform created for African film practitioners by Kelechi Eke, a filmmaker and CEO of BiGObi productions in Dallas, Texas. This platform is born out of a dire need to give African films and its creators a world stage and the recognition they deserve. Are you a filmmaker? 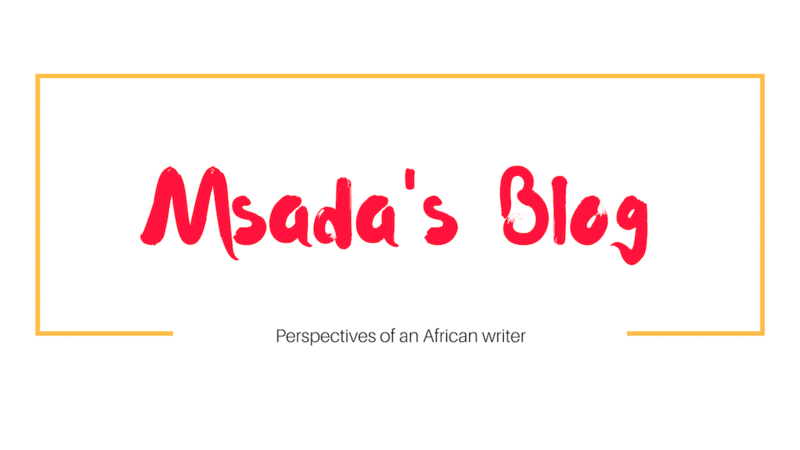 Have you made an African film? Then this festival is for you.